Agnetha and Frida Switched 1920x1080. Agnetha and Frida switched to see how they would look with each other's hairstyle.. HD Wallpaper and background images in the ABBA club tagged: photo abba agnetha frida switched transposed bbc totp2. 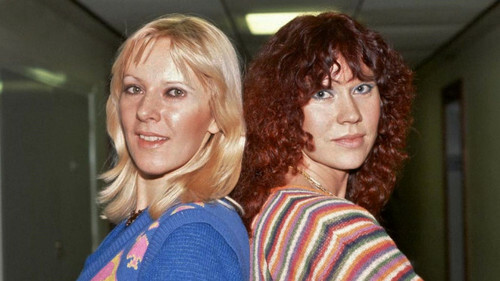 Agnetha and Frida switched to see how they would look with each other's hairstyle. This ABBA photo might contain pullover and slipover.